"The Auction at Graceland" which takes place on August 13th 2016. 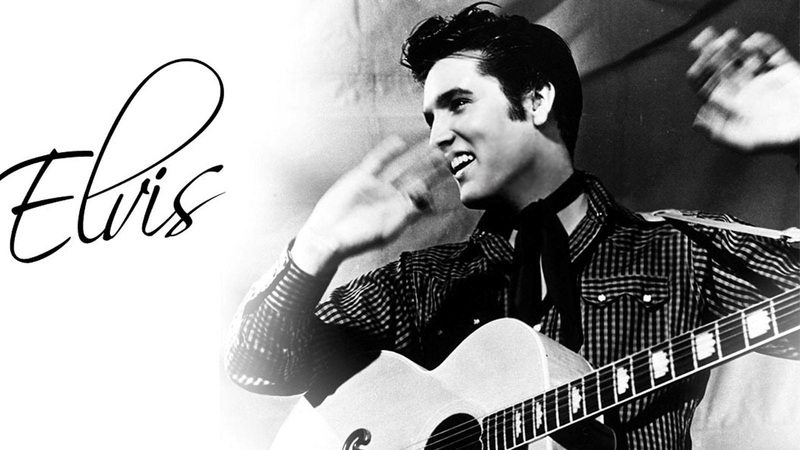 This world event is officially endorsed by Elvis Presley Enterprises and Invaluable Auction House. The auction line up of items looks incredible with nearly 200 lots of exceptional antique Elvis merchandise used, worn, and owned by The King himself. This auction has artifacts from across the spectrum of collecting; including items owned, gifted, written by, and used by Elvis. This is the fourth Auction at Graceland and features Elvis collectibles like a signed and inscribed guitar case, owned and worn gold and diamond ring, Elvis Presley Owned 1971 Colt Lawman magnum revolver, and more! As a lifetime Elvis fan it is always exciting to become even more submersed and involved in the world of Elvis and the The Auction at Graceland is a great way to do exactly that. 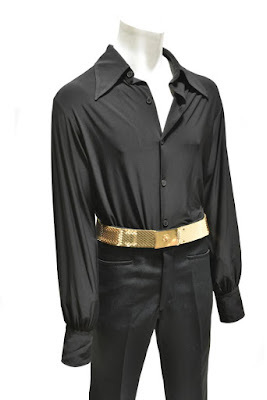 These items give fans a fantastic inside look into the life of Elvis Presley whether they chose to bid on an item or not. Enjoy fellow Elvis Fanatics! The Auction At Graceland, starts at 2:00 PM CST on the 13th. Elvis touched the hearts and lives of fans across the globe and his legacy lives on. This year marks the 60th anniversary of the start of Elvis’ film career; his film career coupled with his extraordinary singing career makes him a stand out celebrity. Now, fans have the chance to own part of his legacy. To see the entire auction line up click HERE. To learn more about Invaluable Auctions click HERE. 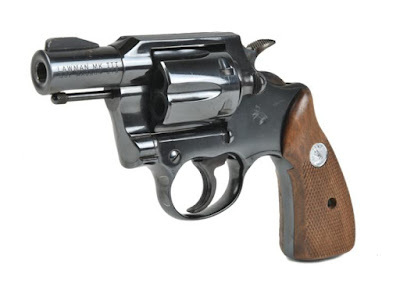 On October 9, 1971, Elvis Presley visited the Frontier Gun Shop in Palm Springs, California, and purchased five firearms, including the offered Colt Lawman MKIII .357 Magnum revolver. In the world of Elvis gun collecting, rarely can one make such a conclusive statement. But the weapon presented here, and its supporting documentation, create the perfect opportunity to make such a claim. Personally owned and signed American Express card that belonged to none other than the King of Rock ‘n’ Roll himself! 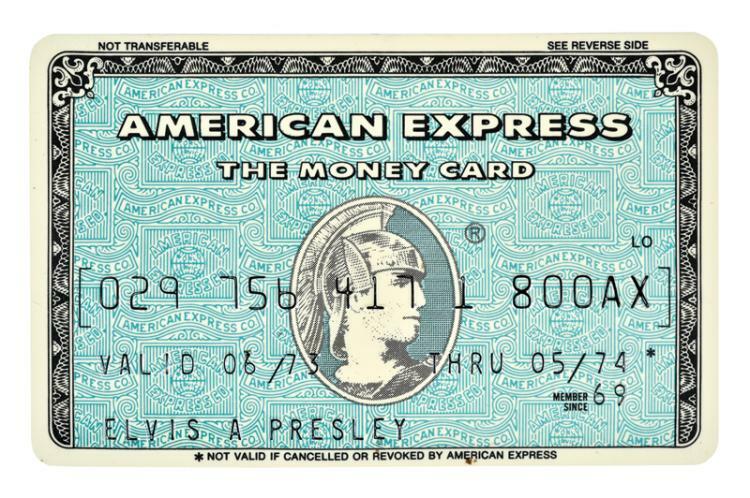 Elvis rarely paid in cash, so this amazing piece of plastic was surely something he never left home without. 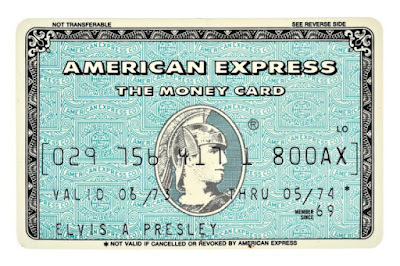 This 1973-74 issue “Money Card” clearly states “Elvis A. Presley” on the front and carries a bold, blue Elvis Presley signature along the strip on the reverse. ( Jody Cranston / Elvis Auction ). ( Invaluable / Elvis Presley Enterprises ). ( Jody Cranston / Noir ). ( Elvis / King Creole ). Race, Max & U. Brady. A "Post Apocalyptic" Soccer tournament with some of the best players in history + Elvis' re-mix of "A Little Less Conversation". ( Jody Cranston / Elvis Blog ). ( Secret Tournament / Soccer ). ELVIS : "YOUR CHEATIN' HEART"
Elvis recorded this all time Hank Williams country classic feb 1st 1958. Elvis' version of this song wasn't first released until 1965, seven years later on the LP "Elvis for Everyone". This classic song - for me, has very strong family ties. My Mom (Helen) was a huge Elvis fan (Jackie Wilson, Little Richard and The Platters are up there but Elvis was her all time favourite) and my Father (Pat) spent a lifetime listening to Country and Western music. Elvis singing "Your Cheating Heart" is the perfect marriage of Elvis and Country. Plus, Elvis does an incredible rendition! It is up tempo with a bit of western swing. A brilliant performance by a barely 23 year old Elvis. The back up/studio band and vocals by The Jordaniars complete the sound. I love the way they switch gears and play/sing it out at the end.... "Take it home". The song "Your Cheating Heart" has been covered by a virtual "who's who" of music legends including: Jerry Lee Lewis, James Brown and Fats Domino and many others. It is sill covered continuously even today (Leanne Rimes). Everyone takes a shot at this standard. I told my Uncle Rick (another family tie to this song) who was the quintessential Beatles fan and a very knowledgeable music follower that Elvis did a version of this song. I vividly remember him saying without even hearing it... "you just know Elvis' version will be the best". Wow! Makes you proud to be an Elvis fan! 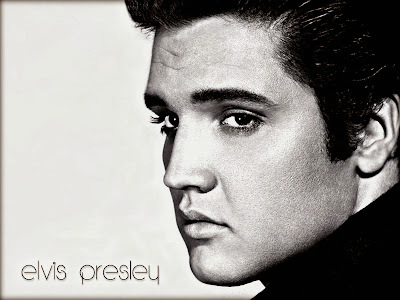 Enjoy this all time great Country and Western song "Your Cheating Heart" dynamically recorded by Elvis Presley. ( Jody Cranston / Elvis Review ). ( Elvis Blog / Tickle Me ). Although this 1965 movie about a Rodeo Rider (Elvis) finding love at a female dude ranch was critically panned - most viewer reviews are very positive. This is the only Elvis movie that didn't have an original soundtrack. To keep a budget and expenses low, the producers: Allied Artists Pictures, (who was in tremendous financial difficulty at the time) used previously recorded and even some previously released songs from as far back as 1960. That's five years old! Because of the above mentioned circumstances Tickle Me inadvertently produced a great score. One of my all time favorites! There are some real gems and collectors gold here. "Feels So Right", "Dirty, Dirty Feeling" and "Night Rider" certainly beat any other Elvis movie song(s) of the time - think "Easy Come, Easy Go" or "Do The Clam". And, in this Elvis fanatic's opinion, (remember - I am an Elvis fanatic) this movie's music stands up quite nicely to the brilliant British Invasion that was happening at the time. 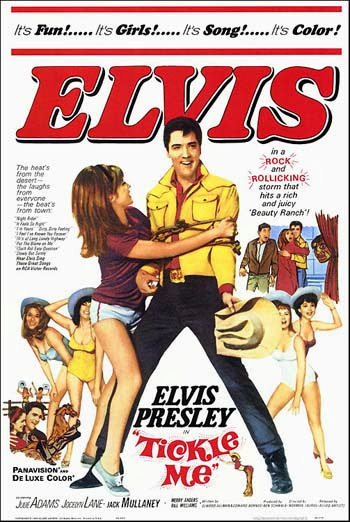 To me, having a 1960 Elvis voice singing in a 1965 Elvis movie merely ads to Tickle Me's novelty. I really like this movie and I love the soundtrack! ( Elvis / Interview ). I have always have been and always will be a huge Elvis fan. 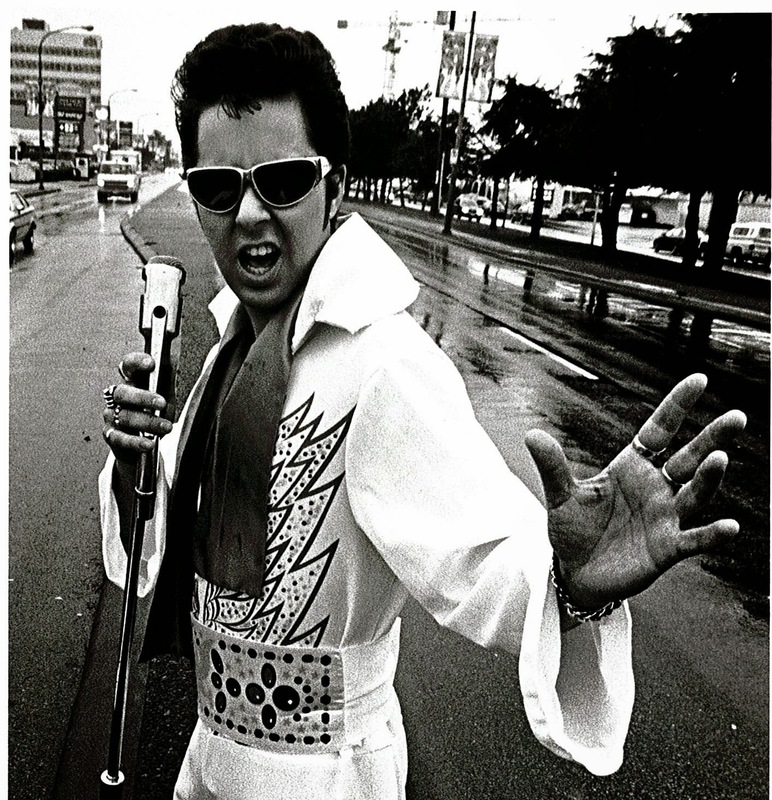 The Elvis Impersonator Shows I did were never with an agency or band. It was always voice to recorded music or lip-sync. My first public performance was in 1986 and the last was 1995. That is almost 10 years of song selection, costumes and shows. There were performances at malls, family fairs, Gateway Theater and school lunch times. They raised money for many different charities such as MS, The Canadian Cancer Society, School equipment and Youth at Risk programs. Sometimes I would be on local TV, newspapers and radio. It was always a great time! ( JODY CRANSTON / ELVIS ). ( JODY CRANSTON / BLOG ). Jody Cranston's almost always everything Elvis hour. Try saying that five times fast!